Bonnie joined our TFC family in 2008, following twenty years of practice administration with a Grand Rapids neurology group. 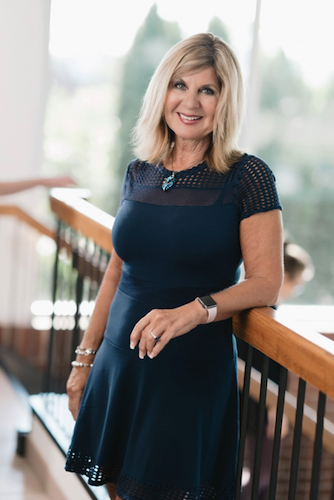 Now, with thirty-one years of experience behind her, she is well equipped to keep us focused on our goal, allowing our patients to have the best experience possible. Bonnie is a Certified Medical Practice Executive with the Medical Group Management Association as well as past president of the Michigan Medical Group Management Association. She is passionate about building success through others and enjoys the synergy of teams working together to improve outcomes. Bonnie believes in the importance of living a healthy lifestyle as well as finding a good work/life balance. Some of her favorite hobbies include cycling, downhill skiing, and travel. She shares her passion for these activities with her husband Dan, her children, and grandchildren. Being involved in healthcare, particularly the infertility community, is something Bonnie deeply values.